Kearsney’s 125 acre estate is set in a country atmosphere on the edge of the Valley of a Thousand Hills, midway between Durban and Pietermaritzburg, a 35 minute drive from either city, Kearsney provides its 600 boys with a unique offering through the flexibility of the boarding and day scholar options available. Activities are arranged on and off campus for boarders remaining over the weekends. Boarders may go home after sport on Saturdays and return on Sunday night or Monday morning. 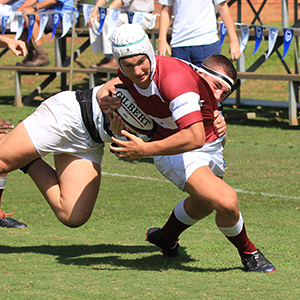 What makes discerning parents select Kearsney College for their son’s high school education? The decision involves more than the world class facilities, experienced staff and beautiful country-like setting. Parents realise that Kearsney is a way of life that provides their son with the values and principles to establish sound foundations at this critical developmental stage in his life. During their teenage years, boys become self-aware and develop attitudes which become part of who they are as adults. Understanding this, Kearsney College aims to encourage boys to develop a positive self-concept and sound judgement. The philosophy that each boy will have “his place in the sun” means that individual attention is given to each boy ensuring that he attains his full potential. For the boys, the passion that they have for their school and its traditions inspires them to uphold the standards achieved in the past. They aspire to contribute to the proud heritage and feel privileged to be a part of this great school. Kearsney’s Headmaster, Elwyn van den Aardweg, an approachable and devoted leader, is highly respected by boys, parents and staff. 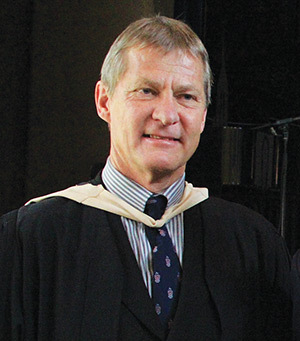 His vision, compassion and integrity have established him as a pillar of the extended Kearsney community. The College staff represent a balanced complement of experience and dynamism. Dedication, commitment, passion and expertise are qualities common to the teachers, coaches and administrative staff. The College is in a fortunate position to attract highly qualified and motivated staff when vacancies occur. Academic staff members have extensive experience with the Independent Examination Board examinations through their involvement as examiners, markers and moderators. Boys are inspired and motivated to achieve the best they can in the classroom. The College has an outstanding record of academic achievement in the IEB Matriculation Examinations. The headmaster Elwyn van den Aardweg said the academic measures put in place had paid off, as reflected in the exceptional results over recent years. Kearsney will continue to offer boys the Independent Examination Board school-leaving certificate. 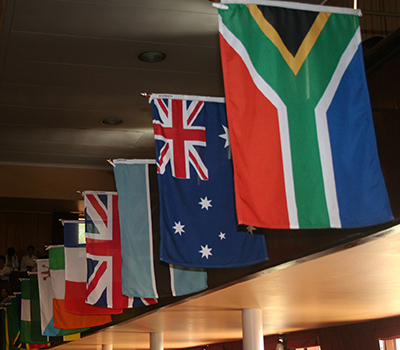 The IEB’s credentials and integrity are acknowledged worldwide, enabling boys to gain access to overseas universities. Furthermore the thinking skills cultivated in preparing boys for the IEB examinations assist in their success at University level. 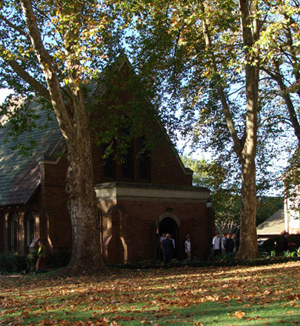 Kearsney College is founded on Christian principles and has a resident Methodist Chaplain. 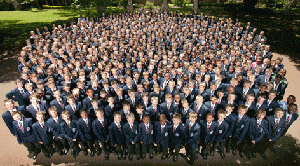 Kearsney believes in tolerance and includes boys from varying backgrounds, cultures and religions. What does Kearsney offer day scholars? Day scholars are fully integrated into all aspects of school life including the boarding houses and may be accommodated on occasions when they would like to stay overnight. Daily bus services are offered to day scholars to assist parents. Kearsney stands apart from other South African schools with SMART Boards in over half of the classrooms. These allow for a visually enhanced and vibrant style of lesson delivery, which the boys find more fun and helpful in understanding concepts. The campus is covered by a wireless LAN, allowing boys access to Kearsney’s intranet and the internet. Kearsney College has adopted a policy of inclusive education to accommodate and provide support for boys with barriers to learning or who are physically challenged. All boys at the College are exposed to a Well-being Programme. Through talks, newsletters and surveys, the programme aims to educate the boys about general wellness and encourage them to adopt a positive lifestyle for life-long health. Professionals in their fields contribute to this programme. 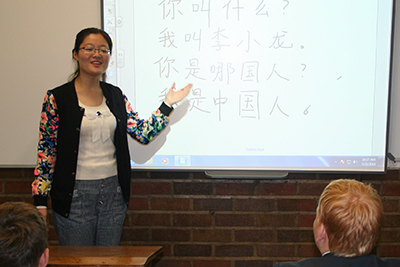 Constantly aware of the changing environment in which the boys are growing up, Kearsney introduced Mandarin into its curriculum in 2006 at the Grade 8 and 9 level. “If China is going to be at the centre of global business, we want to provide students with the tools to operate in a global economy dominated by China,” says headmaster Elwyn van den Aardweg. How relevant is the education offered? Kearsney’s vision is to contribute to our country by providing highly skilled, healthy, ethical and capable citizens democratically contributing to a balanced and safe society and growing economy. Kearsney believes that participation in sport is integral to a boy’s personal development and has a policy of “sport for all”. The College promotes a culture of fair play and respect and offers sport across 12 codes – from basketball, canoeing, cricket, golf, hockey, rugby, soccer, squash, swimming and tennis to water polo. Kearsney’s world-class indoor SportZone has seven indoor cricket nets with four bowling machines, two basketball courts, an indoor hockey/soccer field, two swimming pools (one heated) and a 280 sq metre high performance weights gymnasium to complement the existing High Performance Sports Programme offered, as well as an Astroturf hockey field. Serious sportsmen can be assured that they will have access to world-class facilities and receive outstanding coaching. Boys on the well-established High Performance Sports Programme have access to the expertise of a biokineticist, strength and conditioning coach, dietician, physiotherapists, sports psychologist, a gym instructor and medical professionals. The unprecedented sporting successes in recent years, together with this provide sound foundations for a bright future for all sportsmen at Kearsney. 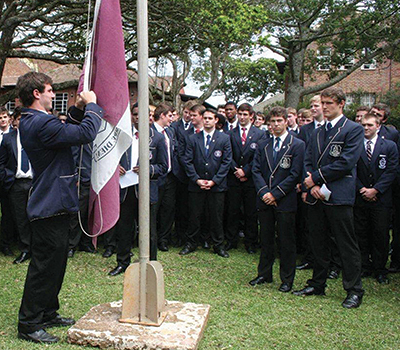 In keeping with the College’s aim to maintain a balance and to enhance the ethos that there are many ways to be a man, a multi-faceted club and cultural programme is offered at Kearsney. Boys are encouraged to become members of clubs ranging from academic extension (English Olympiad Club, History Club and Senior Science Club) to personal enrichment (Student Christian Association, Dale Carnegie Course, Film Appreciation, Share Market Wizards, Environmental, Ballroom Dancing and International Culture Club) to service clubs (Theatre Crew, Video Editing Club, Computer Film Design and Photographic Club) and to the physical and fun (Comedy Club, Self Defence, Touch Rugby Club, Indoor Hockey, Mountain Biking as well as Surfing and Body Boarding Clubs). In order to build confidence and develop character, boys are coached in the skills of public speaking through many opportunities including their membership of the Speakers’ and Inner Circles and the Debating Clubs. Various productions are staged throughout the year, ranging from one-act play competitions to large-cast productions and professional shows. Musically Kearsney is extremely proud of its Choir which has twice been crowned Champions at the World Choir Games (Olympics for Choirs). Since 2000, it has an impressive tally of fifteen gold medals, seven silver medals and one bronze medal achieved over the years at this biannual global competition. 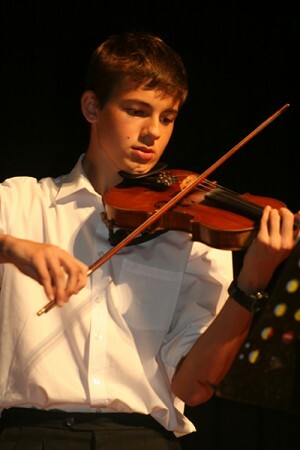 Specialist teachers are available in a wide range of instruments and boys can participate in the orchestra, SCA band, choir, “Stix” Marimba Troupe, School of Rock and Gumboot dancing. Many opportunities exist to perform locally, nationally and internationally. 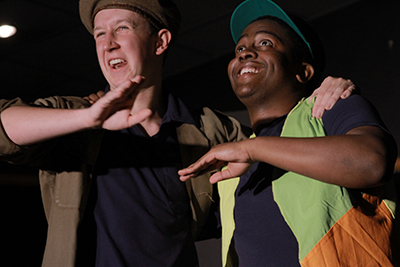 Boys are offered music, art and drama as subjects up to Grade 12. The College is served by a Student Council overseen by the Deputy Headmaster in charge of Student Affairs . The Councillors are elected annually. The Council has regular meetings each term and office bearers are sometimes called on to represent the College at community events. Service on the Council offers an important leadership opportunity for the pupils in the democratic structures of the College. Our Honour Code introduced in 2010 is a means of ensuring the highest standard of personal integrity. The code is the boys’ own approach to dealing with misconduct that is essentially moral in character. The College continues to take to heart its mission statement, which includes the words “to serve with empathy”. Each boy is encouraged to complete at least 15 hours a year of community service. Boys volunteer at old age homes, conservation and animal welfare organisations, hospitals, beach life-saving, children’s homes, AIDS orphanages and the like. 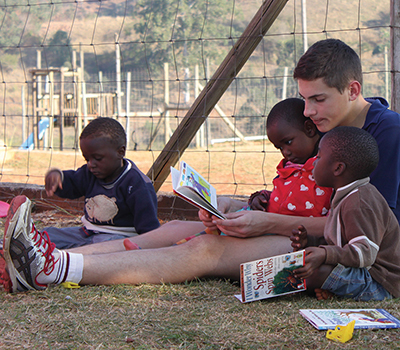 International exchange provides an excellent opportunity for boys to learn first-hand about other cultures and customs and to gain new perspectives on South Africa and the world. 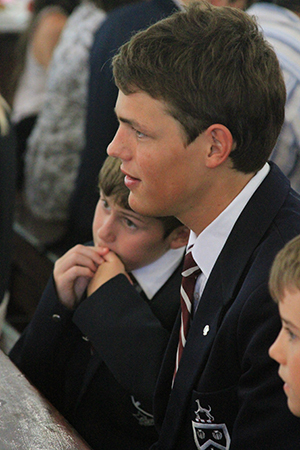 Each year several Grade 10 boys are privileged to spend a term overseas broadening their horizons. The special welcoming atmosphere and rich traditions of Kearsney have been created by the cumulative influences of boys and staff over more than 90 years. That passionate commitment continues to this day, taking Kearsney confidently into the future. The International Boys’ School Coalition has some interesting articles on the education of boys. Why a school for boys? A booklet about educating boys. The following links can also be found on their website, but are given here for convenience. Hearts and Minds: Ten Reasons for a Boys’ School (2003), an abridged version of the speech presented by Dr. Stephen Johnson, Head of the Preparatory School at Upper Canada College, at the Founder’s Dinner at Upper Canada College, January 30, 2003.